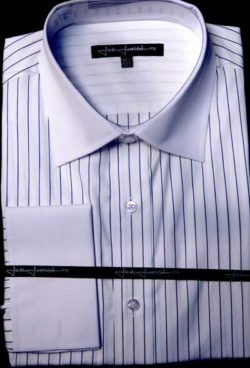 A very fresh French cuff dress shirt. Note the spread collar to sit nicely under a jacket lapel. 100% cotton poplin. Simply elegant.